Lazio Roma will host the 16th round of the Serie A in the Stadio Olimpico against Sampdoria on Monday evening. After losing against Juventus at home against Juventus 0-2 the team from the Italian capital is placed on a disappointing 12th position. Sampdoria on the other hand was not able to set a good result either and lost 1-3 against Sassuolo after already conceding 3 goals within the first half. Both teams are unable to meet the expectations after finishing top 10 last season. Previous confrontations between Lazio Roma and Sampdoria show us that Lazio wins most of them. We predict Lazio Roma to beat Sampdoria and hopefully make progress on the table. 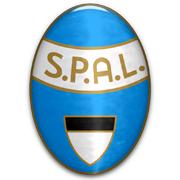 A club like Lazio Roma should always compete for the top positions in the Serie A.